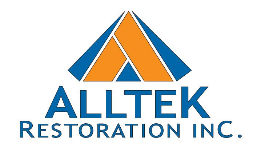 About | Alltek Restoration, Inc.
Our company philosophy and understanding is that every client’s satisfaction is our top concern and mandatory goal. We will treat each of our clients as individuals, as every client is different. We will strive to meet their needs. By our success in these areas is how we judge our team's success. We know through interaction and working with every new client our ability to excel in our industry will certainly succeed in allowing us to establish new standards and expectations. 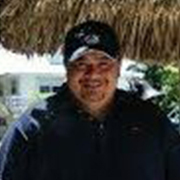 Andrew Easton, our company founder, brings over 25 years of building experience to Alltek Restoration, Inc. His hands on experience covers all phases of residential and commercial construction. With a family history of Contractors and entrepreneurs, Andrew is a third generation contractor. He brings a solid foundation and commitment to our customers. Being a California, Bay Area native, born in Walnut Creek and raised in Diablo, Andrew is dedicated and passionate about providing the highest quality service and installations. Striving to setting new standards while preserving commitment and integrity in the construction industry. Our production staff’s quality and efficiency is unmatched. Ninety-five percent (95%) of all repairs are performed by Alltek staff. We are both general building and electrical contractors. We employ skilled and trained tradesmen to perform our construction repairs allowing us to have better control of project schedules and overall performance. By completing the project with Alltek staff, we manage the projects, the project does not manage us.